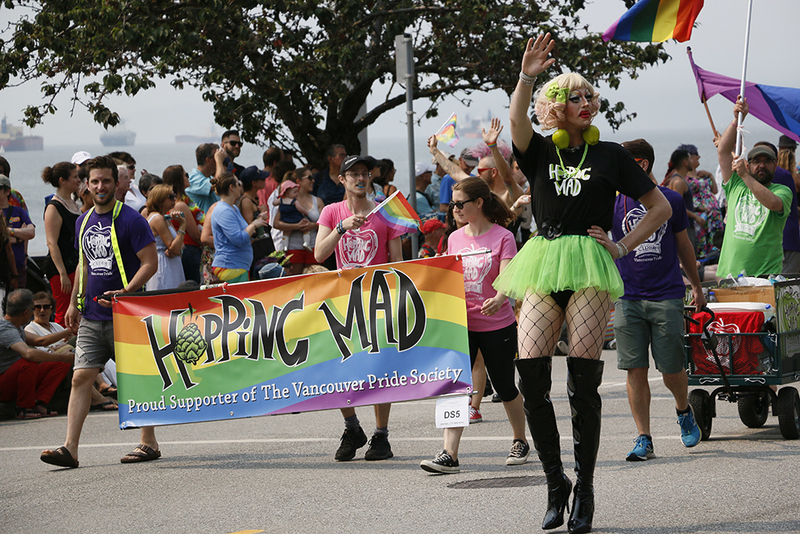 Hopping Mad Cider is a proud supporter of Vancouver Pride and Victoria Pride as the official cider of both Pride celebrations. Hopping Mad is proud to celebrate diversity and inclusiveness by supporting Pride and the LGBTQAI2S+ community. 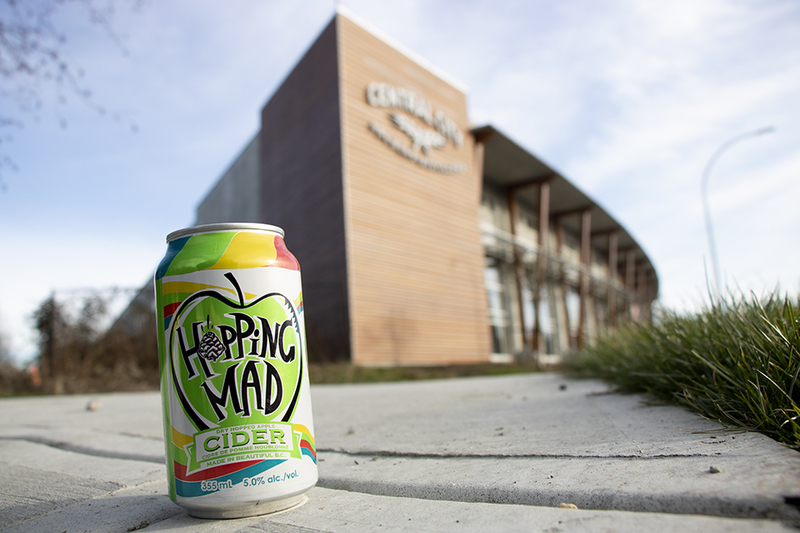 This year will mark Vancouver Pride’s 40th anniversary and Hopping Mad Cider is excited to be involved in several ways including parties, tastings, the Pride parade and of course being available, in our Pride inspired custom rainbow cans, at all Pride events for you to enjoy! In 2017 we launched a special edition Pride Hopping Mad Rainbow can to celebrate and show our pride! 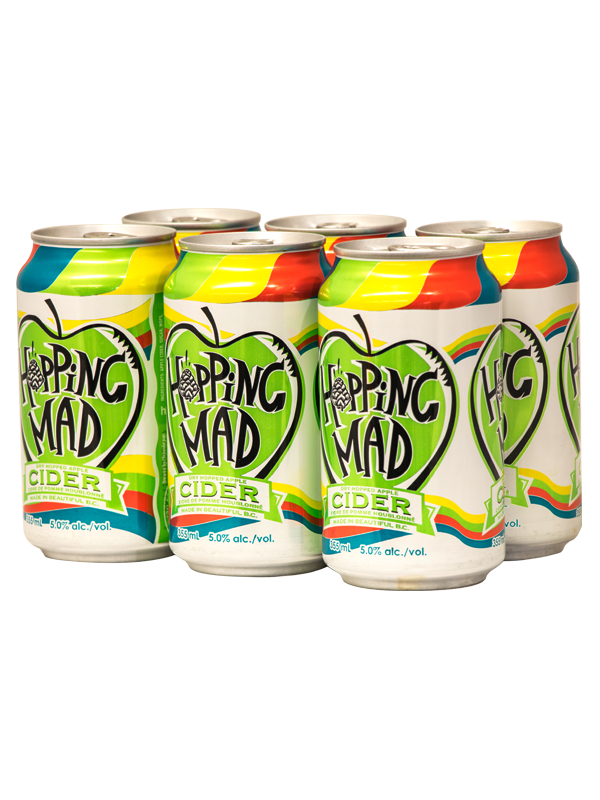 The Pride Hopping Mad Cider cans were so popular that we decided to incorporate the Pride inspired rainbow can design into our new Hopping Mad packaging that is available all year! For Vancouver Pride celebrations Hopping Mad Cider will be participating in several events including sampling and swag giveaways at Pride sports day on July 22nd at Second Beach in Stanley park, Pride Premier at the outside Vancouver Art Gallery on July 27th and Hopping Mad will be marching in the Pride parade on August 5th and Hopping Mad will be sampling and be giving away pride swag at the Sunset Beach Pride Festival on August 5th. 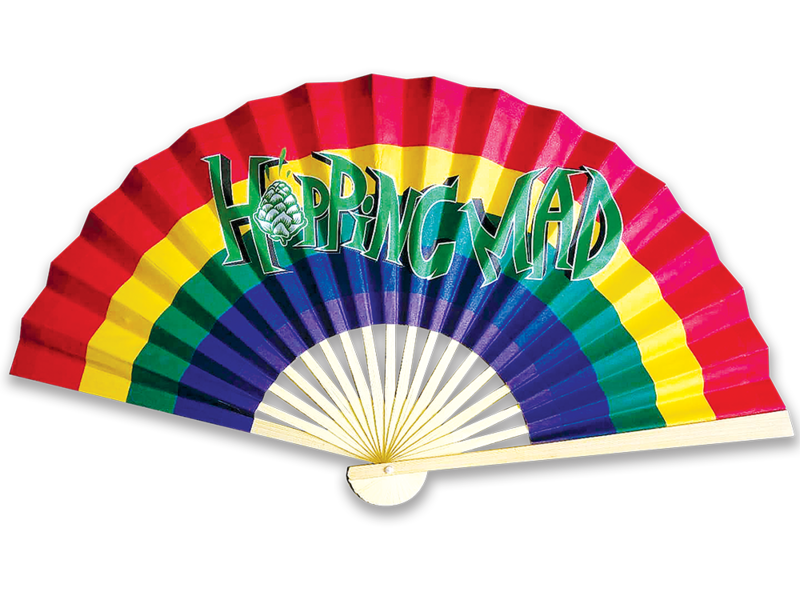 We knew it would be hot at Pride events this year, so we have made Hopping Mad Pride fans, which you can get as a gift with purchase at participating locations and at Central City Brewery in Surrey and at Pride Events. You can get your Pride Hopping Mad Cider and fans at participating locations in greater Vancouver including: Central City Liquor Store, and Central City Brewers and Distillers (tasting room store), Marquis Wine Cellars, Burrard liquor store, Denman liquor store, High Point liquor store, Legacy liquor store, Cedar Cottage liquor store, 1st Ave liquor store, Toby’s liquor store (Commercial Drive), Paddlewheeler Liquor store, Firefly liquor store, Liquor Depot Cambie.